I keep getting asked if Greece is "safe" for travelers -- a question that feels absurd the instant you arrive there. Ask anyone who's been to Greece recently, and you'll learn that safety concerns have been played up by both Greek and international media outlets. Frankly, this is a great time to travel to Greece. The financial crisis -- while making life difficult for most Greeks -- is a boon for budget travelers. Hotel prices are down, the normally warm Greek hospitality has ratcheted up a few notches, and roads outside of Athens are essentially traffic-free, as higher gas prices have caused locals to cut down on inessential driving. The downsides (shorter hours at sights, reduced long-distance bus service, occasional strikes) are noticeable, but not reason enough for you to postpone a trip. 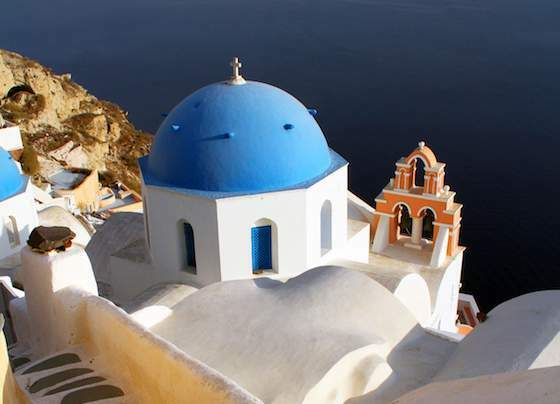 All the things you're looking for in a trip to Greece -- mouthwatering food, deep-blue water, striking scenery, and the thrill of connecting with ancient history -- are all here waiting for you ... at a cheaper price. Greece is easy on travelers. Tourism makes up 15 percent of the gross domestic product. The Greeks pride themselves on a concept called "filotimo" (love of honor), roughly translated as openness, friendliness, and hospitality. Social faux pas made by unwary foreigners are easily overlooked by Greeks, and many speak English. Despite the headlines, the major sights of this ancient land are open and relatively crowd-free. 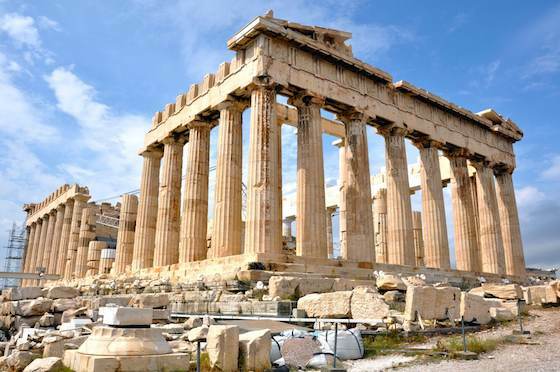 Athens, while sprawling and congested, has a compact, pleasant tourist zone capped by the famous Acropolis -- the world's top ancient site. With its central location, it's also the perfect launch pad for farther-flung destinations. You can commune with ancient spirits at the center of the world -- the oracle near the picturesque mountain hamlet of Delphi. Or travel farther to the Peloponnese, the large peninsula that hangs from the rest of the Greek mainland, and experience a wild, mountainous landscape dotted with the ruins of Mycenaean palaces, ancient temples, frescoed churches, and countless medieval hilltop castles. Most travelers like to take a vacation from their vacation on one of the famous Greek isles, such as traffic-free Hydra, whitewashed Mykonos, or volcanic Santorini. It all sounds idyllic -- and for the most part, it is. On my last trip here, if it hadn't been for the blaring headlines and shrill news reports calling the demonstrations "riots," I probably wouldn't have been aware of them at all -- I was too busy pondering the ancients at the Acropolis and nibbling olives at dinner. I found Greece to be the same old wonderful place ... with, perhaps, a few more minor headaches. Political protests are indeed a common occurrence, and not just in Athens. Demonstrating is woven into European democracies. And, while protesting is generally just too much trouble for most Americans, Europeans are quick to hit the streets when they want to raise their collective voice. I think it's healthy. It's my hunch that for many years to come, Europe will be sorting this out, and travelers will encounter parades and rallies in front of parliament buildings -- and anarchists wanting to hijack these events to make their points and get on the news. As the TV news media loves vivid footage, this is easy to do. But most rallies involve zero violence. When violence has broken out in Athens, it's been between police and protesters, not bystanders ... and certainly not tourists out for a stroll. It's pretty easy to steer clear of any unrest. What's the biggest impact of the crisis on visitors? It's the satisfaction you'll get from contributing to the economy of a nation dealing with tough times -- and the joy that comes from a tourist industry that really appreciates your presence. Sharing a beer or a coffee with a talkative native can provide you with a lesson in contemporary Greece that's every bit as fascinating as the classical stuff. Greece has, it seems, more than its share of troubles right now. Still, Greeks are optimistic by nature. Most believe that they'll get through these tough economic times. They're quick to point out that, regardless of the economy, the olives remain just as tasty, the water just as blue, and the sun -- like the Greek people -- just as warm. Vacations & Travel "The Bright Side Of Greece: Lower Prices, Fewer Tourists"